Author management. When the details of an author are inserted in Libro, the author’s name is automatically treated by Libro to produce a unique signature which identifies the author. Thanks to the development of a number of dedicated functions, Libro is able to create this signature, dealing with a very variable input like names are. Double names, middle names, double surnames, all this possibilities are handled by the software. The outcome follows a format similar to that used on isbndb.com. For example, given the input Oscar Wilde, Libro will produce O_Wilde. Similarly if the input contained a double name like: Jean-Paul Sartre, the outcome would be J-P_Sartre. In case the author’s name contained a double name, like Matteo Maria Boiardo, the outcome would be M_M_Boiardo. Similarly for double surnames. For Gabriel García Márquez, the outcome would be G_García_Márquez. As often authors’ names come in abbreviated forms, Libro is able to handle Jean-Paul Sartre as well as J.-P. Sartre. Dewey Decimal. As said earlier, Libro is optimized to work with the Dewey decimal, one of the most widely used systems for book’s classification. 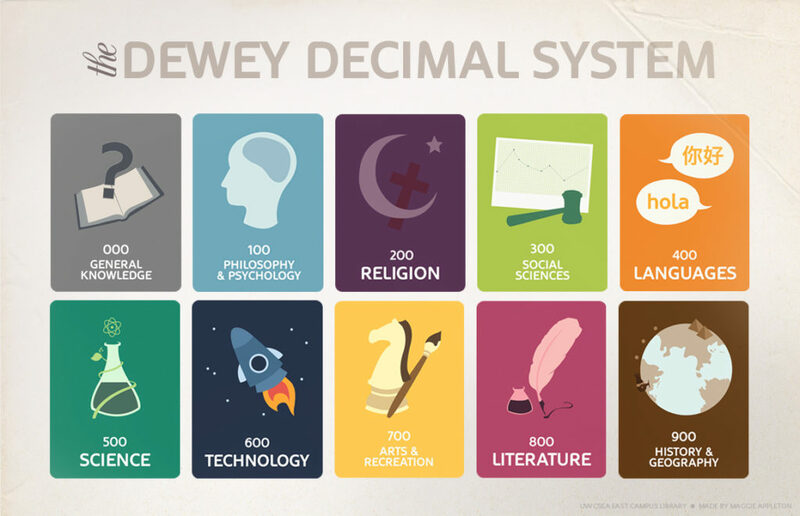 It’s here important to mention that the rights for the Dewey decimal classification system belongs to OCLC. Libro allows the user to insert class and subclass of a given book and automatically generates a signature in the standard format class.subclass. Let’s us as example the book: Bertand Russell, “History of Western Philosophy”. The user decides, his/her decision, to assign the book to: class 190 (Modern Western Philosophy), subclass 9 (Historical and geographic treatment); Libro would generate the signature “190.9”. But Libro does more than that. When a new author is inserted in the catalogue, Libro generates a unique triletteral code (a common practice when using the Dewey decimal). For example for our Bertrand Russell, the generated triletteral code would be: RUS. (If a second author is inserted, whose surname starts with Rus… a new triletteral will be generated, following the pattern RU1). 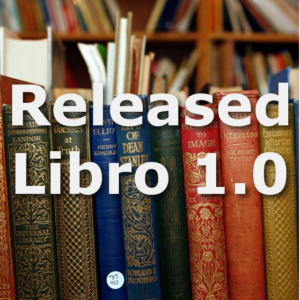 At this point “Libro” generates the library code “190.9/RUS”, following the standard of the Dewey decimal, and the book is ready to go on the shelf! Being Libro designed to be used with the Dewey decimal, the research function allows searches by, class, class.subclass, complete library code.